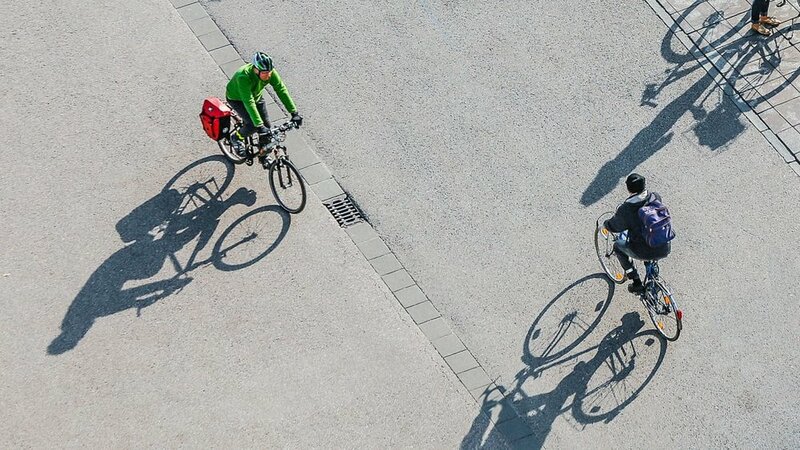 A new book, How Cycling Can Save The World, argues that from improving public health to mitigating climate change, replacing cars with bikes could have an exceptionally large impact on the health of the planet. With New York almost fully excavated from the winter, I got my bike out this morning and rode to the office for the first time this year. The air just the right level of cool, and as I headed toward the Brooklyn Bridge on-ramp, a group of fellow cyclists, mostly men, coalesced around me. We did the head-nod thing, and swore en masse at the potholes around an uncompleted construction site. But on the bridge, frustration disappeared. From that vantage, the city looked beautiful, and the wind felt freeing. I arrived at the office early, a little sweaty, and in an unreasonably good mood for having not yet had a second cup of coffee. As a female bike commuter, I’ve faced more than a few raised eyebrows. There’s the fact that for every three men who cycle, only one woman does. And there’s also the fact that in America, as in many parts of the world, cycling is still seen as a rather niche form of transit, preferred by Lycra enthusiasts or, in New York City, those with a death wish. I fall into neither category. I love to ride, and I’ve learned what Peter Walker, political correspondent and contributor to The Guardian‘s bike blog, writes in his new book: Biking is not as unsafe as it seems, and it’s often the fastest and most enjoyable way to get around. But Walker also takes it a step further. His book, out April 4, is called How Cycling Can Save the World, and while he admits the title is a bit grandiose, he also tells Fast Company that it’s not far from the truth. From eradicating health concerns linked to inactivity, to mitigating climate change, to boosting local economies and building community, biking, Walker says, is an integral part of the solution. It just has some image and infrastructure issues to overcome. Walker has been an urban cyclist the past 25 years, ever since he took a job as a bicycle courier in London in the early 1990s. In the three years he worked as a courier, he transformed from a slight, asthmatic college graduate to an athlete; “It was always assumed that I was the fittest person in my peer group,” Walker writes in the book. He was probably clocking 300 miles a week, and while he didn’t fit the speed-racing, “spandex warrior” image that springs to mind for some people when they think “cyclist,” he experienced firsthand that his lifestyle was far from the norm. When he joined The Guardian 10 years ago, he noticed that while the paper covered cycling as a sport, casual biking rarely made the pages (that disparity inspired him to start the bike blog seven years ago). “Ride a bike in many cities, and it can feel like you’re the unelected local representative of some mistrusted, barely understood cult,” Walker writes. These days, Walker is more of what he calls an “everyday cyclist”: he bikes with his son to school, and around the neighborhood on errands. That type of casual cycling–when hopping on a bike is just a part of your daily life, not an event–is the kind of use that Walker sees as truly transformative. “Even a relatively sedate daily bike commute can have a near-miraculous health impact at just about any age,” Walker writes. Every year in America, around 800 Americans die on bikes; in the same period of time, at least 200,000 die prematurely from illnesses linked to lack of physical activity, like cardiovascular disease and cancer. The most comprehensive study on the benefits of cycling, Walker says, tracked 30,000 Danes over the course of 15 years; the researchers found that just biking to work decreased risk of mortality within that time frame by approximately 40%. It’s notable that most of the aspirational research Walker cites comes from countries like Denmark and the Netherlands, where cycling is seen not as an out-group activity, but as much a fact of life as taking a shower. In contrast to Walker’s home of the U.K., where just around 2% of all journeys are made by bike, around 25% in the Netherlands are. In the book, Walker asks his readers to imagine a hypothetical scenario in which he presses a magic button and hikes the share of bike journeys in his county up to Dutch levels. Apart from the personal health benefits, carbon emissions would drop: A 2015 study from the Institute for Transportation and Development Policy found that if 14% of travel in the world’s cities was done by bike, carbon emission would drop 11% by 2050. Local businesses would also thrive: Contrary to the assumptions of many store owners, who often drastically overestimate how many of their customers arrive by car, Walker cites studies that cyclists are more frequent and reliable customers, and the presence of bike lanes on streets contributes to revenue boosts: In 2013, the New York City Department of Transportation commissioned a study of the impact of the protected bike lane installed on 9th Avenue in Manhattan three years earlier. They found that business revenues rose 49% on that street, as opposed to 26% on non-bike-lane streets nearby. The key, Walker says, will be for politicians to confront these statistics on the benefits of cycling, and turn them into infrastructure that supports it. Painted divides or “sharrows” won’t cut it; these non-structural bike lanes may actually lessen cyclists’ safety by luring them into a false sense of security. What will is a connected network of fully segregated bike lanes, shielded from cars by a curb and sometimes, a fence. When New York introduced its first fully fledged bike lanes in 2006, the share of cycle trips skyrocketed by 250% over the next eight years. Supporting cycling at the political level, Walker says, is likely to face pushback from powerful lobbies like the auto and oil industries, but the incontrovertible health and climate benefits, he says, could and should win out.